Do you feel bad when you have to leave your dog home alone? Many people do. It’s only natural. But life goes on and sometimes we don’t have a choice. Fortunately when it comes to my dog Jack I have a flexible enough schedule where he can attend many of my job related engagements. However, there are times when he cannot tag along. Due to the fact that he’s an only dog in an apartment with no yard whatsoever, last year I invested in dog daycare for Jack. It was one of the best decisions I have made on behalf of my four-legged buddy. 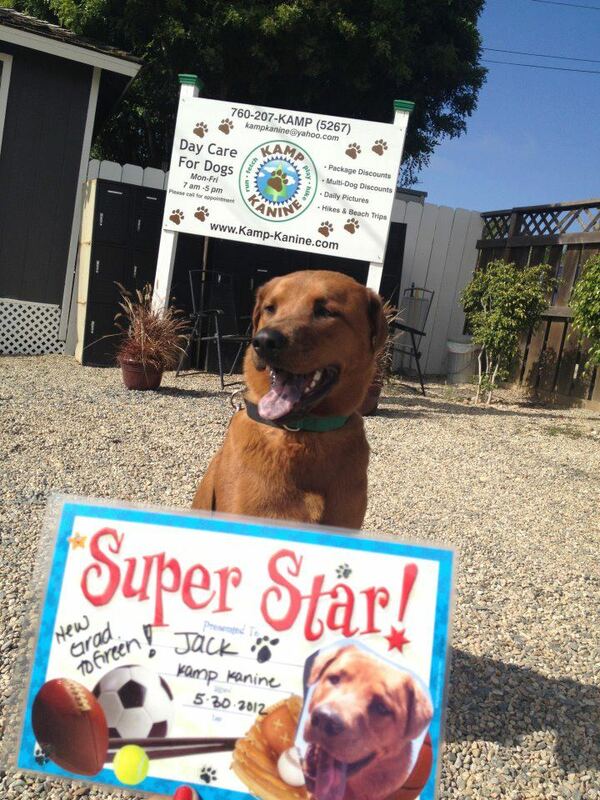 Currently my dog Jack is enrolled at one of San Diego’s premiere dog daycare facilities, Kamp Kanine in Encinitas and he’s absolutely krazy about them! The Kamp Kanine outdoor facility is over 15,000 square feet of CAGE-FREE fun! It hosts 7 large yards which allows staff to properly place kampers in appropriate play groups and with abundant, experienced staff supervision. Each dog gets a colored take home collar which represents the playgrounds he or she is best fit for according to dog disposition, size, and age. Today, Jack holds the Green collar the best collar yet. It’s a universal collar and any dog wearing a green collar showcases very friendly disposition and they’re free to roam any playground they wish. Whether it’s for a few hours or for the entire day, by the time Jack gets home from Kamp Kanine he is seriously pooped, which is exactly what every parent wants…Now I can get back to watching my Bachelor DVR recordings and treadmill workouts! What sets Kamp Kanine apart from the rest of the San Diego daycare facilities other than its exceptionally large outdoor playground and extremely playful selection of campers, are its incredibly affectionate and attentive staff. Jaime Stokely, Kamp Kanine’s Office Manager does an excellent job making sure things run smoothly every day. Jaime is course certified by NAPPS – National Association of Professional Pet Sitters – is bonded and Red Cross CPR Certified. She owns a wonderful little rescue terrier mix named Bozlee who attends day care every day. 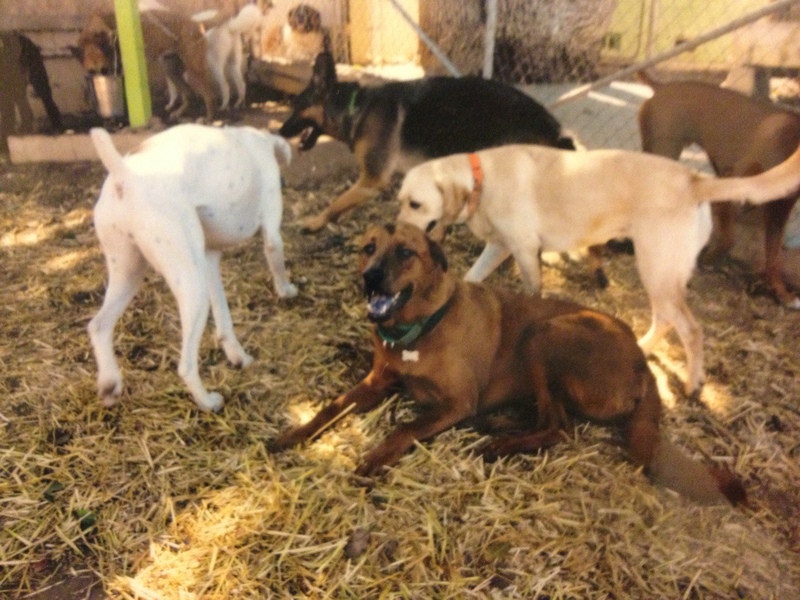 Stokely and her staff are not only avid dog lovers but they all excel in animal behavior, psychology, and training. When Jack first joined the camp, the staff was always sure to share wonderful stories with me about Jack and his day. They are always sure to send your baby home with a report card, as I’m always receiving report cards full of photos that showcase the fun Jack has at camp. This can make a parent very confident and happy with whom they leave their dog during a long day away. The staff provide you with updates, photos, and report cards letting you know they are always the priority at camp. They even offer a complimentary free bath card on the first day you sign up your pup. Jack absolutely loves Kamp Kanine, the staff and the new friends he makes with every visit. It’s a busy world. And like most of us, you’ve got places to go, things to do and people to see. Whether you’re off to work, school or shopping, or out for a nice dinner and a movie, chances are you spend a lot of time away from home. And sadly much of the time, your dog cannot come along. Dogs have very little to occupy their time while you’re gone, especially if they’re the only pet in the household. We’re their entertainment. Some dogs seem content to nap away their day while you’re away. Other dogs have a much harder time coping with the situation when they’re home all alone. 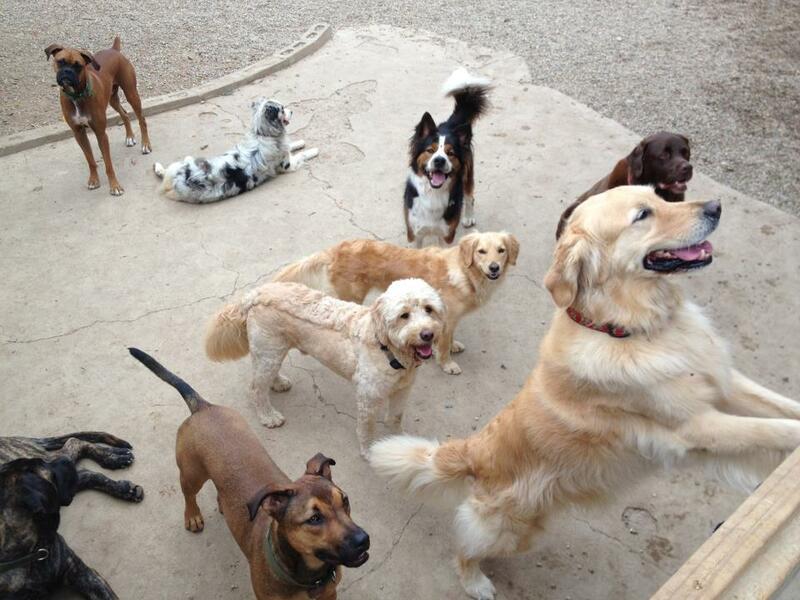 These dogs can suffer from boredom, stress or separation anxiety which can lead to a trail of destruction. If you live in North County San Diego and want to benefit the happiness and mental health of your dog, I highly suggest you take your pup for a visit to this Encinitas facility and sign him or her up. Kamp Kanine is the largest outdoor daycare facility in all of San Diego and their rates are incredibly affordable. 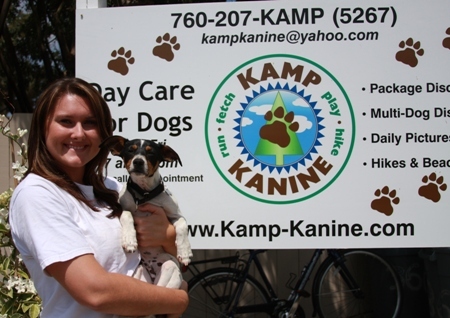 If you’re looking to just entertain your pup for an hour or so while you’re away Kamp Kanine also offers many useful services including dog walking, pet sitting and overnight care. They offer pick-up and drop-off service throughout the county. For more details visit Kamp Kanine or call (760) 207-5267. Previous August 26th is National Dog Day!